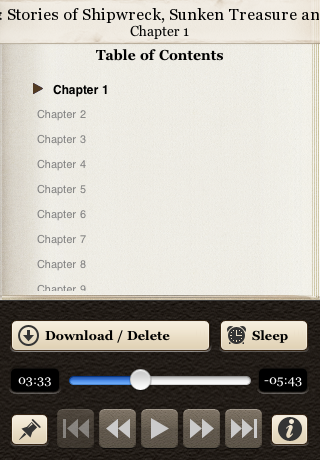 This application contains a professional recording of Deep Blue: Stories of Shipwreck, Sunken Treasure and Survival -- wrapped in a beautiful and elegant player to create an immersive and enjoyable audiobook experience. For those who dare, things often go wrong under the sea. Such tragedies, spurred by the booming interest in the Titanic and the Andrea Doria, have been the focus of tremendous literature form the world's finest authors. 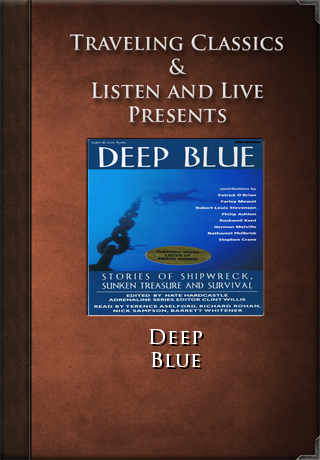 Deep Blue offers compelling tales of shipwrecks and salvage, submarine adventure and free diving, nautical survival and cannibalism.